David Moss is the general manager of the Canadian Cattlemen’s Association. He was co-founder and vice president of AgriClear LP – an online agri-business marketplace joint venture with the TMX Group and Natural Gas Exchange. An entrepreneur by nature, David has been in the cattle industry his entire life. He helped build ranch to retail alliances in the United States, Australia and South America. He brings a focus on innovation, data technology, and international business knowledge and experience. 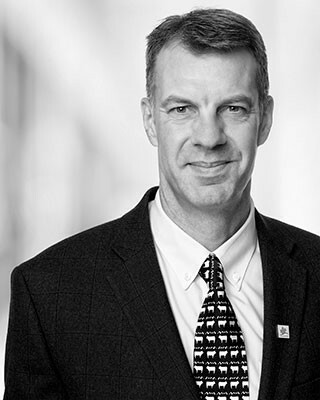 He holds an MA, Leadership Studies from the University of Guelph, an undergraduate degree from the University of Lethbridge and a Project Management masters certificate from York University. He serves on numerous industry committees and is an active volunteer in his Okotoks community.